Family 1 Elizabeth Grover, b. 27 Oct 1652, Malden, Middlesex Co., Mass. 1. 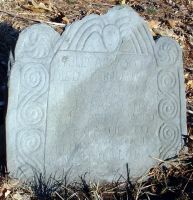 Rachel Atwood, b. Aug 1653, Malden, Middlesex Co., Mass. 2. Mary Atwood, b. Jun 1655, Malden, Middlesex Co., Mass. 3. PHILIP ATWOOD, Jr., b. Sep 1658, Malden, Middlesex Co., Mass. 4. Abigail Atwood, b. Dec 1662, Malden, Middlesex Co., Mass. 5. Elizabeth Atwood, b. Aug 1669, Malden, Middlesex Co., Mass. 6. Oliver Atwood, b. Apr 1671, Malden, Middlesex Co., Mass.